This style has been tested by The Board Basement team. Every year we test products to provide our customers with better product information. Don't worry we are not selling you the tested product, unless stated in the product description! 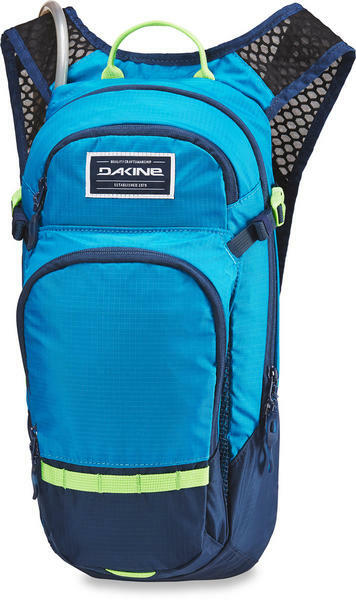 The Dakine Session 12L Cycle Hydration Backpack is a fully loaded pack combining the cooling comfort of a breathable back panel with airy shoulder straps. This lightweight backpack features a 2 -litre vertical hydration reservoir with a bite valve, which is enough to keep you hydrated during your ride. This backpack offers plenty of storage including an organized front pocket, a fleece-lined sunglass pocket, additional side pockets plus an external helmet carry system. The Session is a do-it-all bike pack to keep you out all day on the trails. Women's specific fit on this versatile snowboard / ski bag. The Brighton is a creamy turquise colour. The Happy Camper bag comes equipt with a stowable lunch box that converst to a hip pack. The Carabiner attachment clip is included. Versitile womens specific snow back pack with a long list of features. Slim profile snow back pack with fleece lined goggle pocket, insulated hydro sleeve, ski and Snowboard carry to name a few features. The 25L Mission Pro bag has been updated. Insulated hydrosleeve, Padded hipbelt and gear carry systems are some of the features on this amazing snow backpack. Updated version of the popular Dakine Mission Pro bag. Great low profile bag with all features you need. 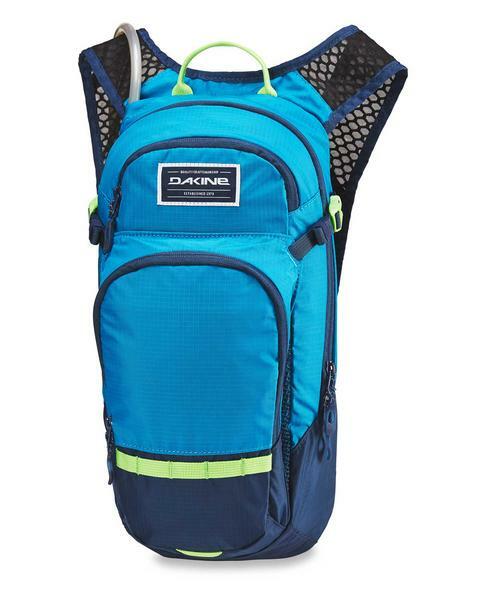 The iconic Dakine Heli Pro 20L is all the pack you need for long days on the mountain whether you're headed out of the gates or on the resort.